Microsoft released its first Windows 8 phone on the first of August 2012. It came in with a boom with the massive upgrade from the previous Windows 7 phones. But the Windows phone 8 had also been the most criticized smartphone operating system with hard competition from the ever glorious Android and iOS. Before using my Nokia Lumia 520 which runs on Windows Phone 8, I previously used both Android and iOS operating system phones and the very first time I switched, I felt it was quite a lot different! My first impression about the phone was that it looked good, and the interface was immensely user friendly, the tile system that Microsoft introduced in its operating system is simply spectacular. In the Android or iOS operating system the user interface is mainly dependent on icons and the Windows 8 phone differs significantly from that by using the tiles. 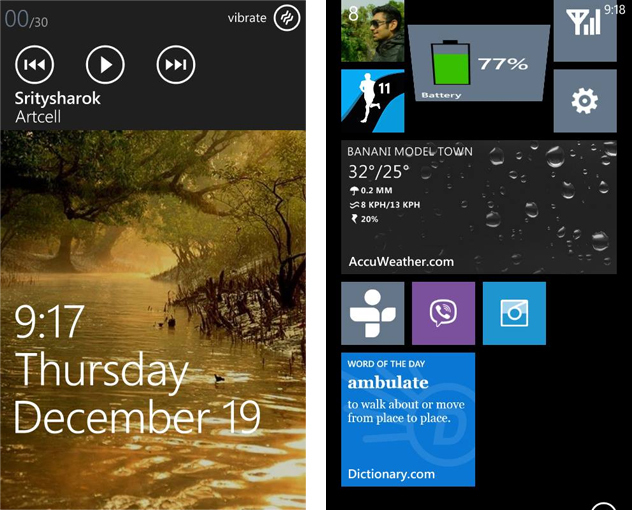 The interface of the Windows phone 8 is what pulled me towards it and it’s probably the only thing for which I love it. A lot of the tile is dynamic, which means they change with the change in the functionality of the program, like the tile for the weather app would show u the change in weather with details, in real time. The tile for the Facebook app would show you your latest status update in real time. The photo app would show you your latest pictures. These dynamic tiles take the user experience to a whole new level. The most important thing to today’s Smartphone users is the app market, or the app collection. Today phones are not just used for making phone calls or text messages; its functionality has been increased drastically over the years. And that is where Windows OS lack behind immensely. The app market is simply tiny when compared to Android or iOS market. 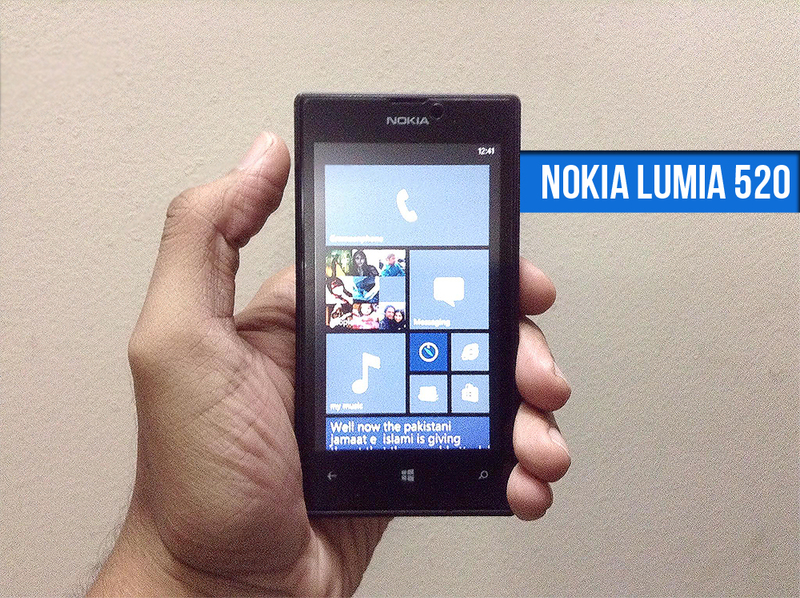 Even then the Windows phone 8 can perform any task the user would expect a smartphone to perform. The options for the apps are very limited, but still there are apps to perform those. Like you might have 10 different apps in your Android market for doing the same task, in Windows phone you would probably find 1 or 2 apps for that function. The operating system as a whole still has not developed as much as the Android or iOS, it does everything you would want it to do, but with certain limitations. The first time I put my SIM card onto my phone, the phone automatically copied the numbers onto my phones memory from my SIM cards memory and synced them with my Hotmail contacts, for that reason all of my numbers became Hotmail contacts which meant I had duplicate names for most of my contacts who were already on my contact list, a lot of people who did not put their numbers on their Hotmail account remained as blank entity with no number in my phones contact list. And there isn’t any way to turn that off. It was the very first disappointment that Windows 8 gave me. Another example might be the music player, when you are playing a song, if you select the music player from the Tile interface, you would have to select the album, the song and then finally reach your Now Playing area where you can control your song. In Android or IOS you can just click your music player icon and it would directly take you to your Now Playing. But that too can be solved, by pressing the volume button, a semi transparent screen comes down that shows the Title of the music currently playing with the option of forward or backward, you click the title and you reach your Now Playing interface directly. My Lumia 520 uses a dual core processor but still can’t perform multitasking. I cannot run two programs simultaneously, like if I am using my music player and another app, if I open the music player the other app would simply close down or get paused. These are some minute issues that are still needed to be developed further in Windows operating system, even though it wouldn’t be a problem for most people but at times these can be very irritating for the user. Apart from these small issues, the phone works just same as any Android or iOS when it comes to making actual use of the phone, making phone calls, text messaging, using Facebook, Instagram, browsing, listening to music or watching a video, YouTube all of these perform equally good as Android or iOS. So the main question, would I stick with a windows phone the next time I buy a phone? My answer is yes! After 6 months of using it I feel my satisfaction level has been the highest because of the simplicity in performing the simple functions of the phone. I feel more comfortable in using windows 8 than I felt using Android or IOS, though I would still say windows has to go a lot further into developing its operating system to beat the IOS or Android. Rabib had been a private consultant in online marketing for various start up businesses based on Facebook and other social media. He has interest in understanding consumer demand and effective marketing strategies. Apart from these he has interest in music photography and sports. He has great interest in understanding human psychology,politics and human behavior. His favorite pass-time is reading articles about everything and anything.